Today on Google you will see a special pirate looking logo on most properties. That is because the Doodle 4 Google winner was announced last night and that logo is featured on Google globally. 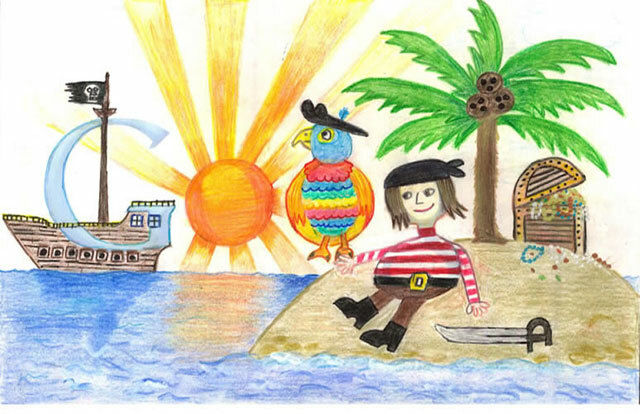 This years winner is named Dylan Hoffman of Caledonia, Wisconsin who won for his doodle named "Pirate Times." For a list of the other finalists who received $5,000 scholarships, see the Google blog.